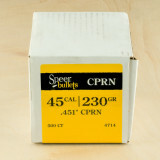 When you are looking for a reliable bullet that you can load into your 9mm cases, pick up this 500-count box from Speer. 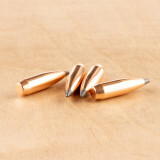 You’ll get outstanding performance from a 115-grain bullet that is smooth, reliable, and effective. 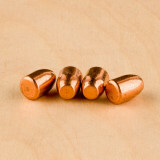 From the handgun to the target, these .355-diameter bullets will deliver the results you expect. 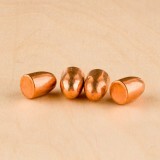 These bullets have a copper-plated round nose profile to give you smooth feeding and effective terminal ballistics. 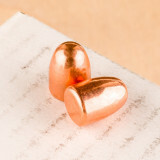 The copper plating allows the bullet to cycle smoothly through the firearm, while the round nose helps it maintain effective aerodynamic performance. 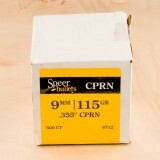 Speer is one of the most popular names in ammunition. 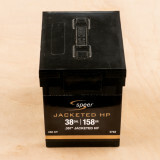 Although they are known as a great source for reloading bullets and cases, they also have whole cartridges for a wide range of uses, including self defense, training, and hunting. 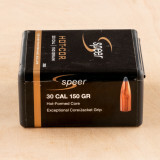 With options for almost every popular caliber, Speer can help you get the right ammunition for any situation. 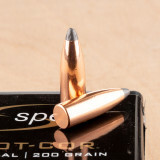 Any hunter who wants a fast, effective, and accurate round for wild hog, coyote, and other medium to small game should seriously consider the .223 Remington cartridge. 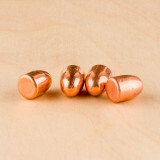 These rounds have quickly become one of the most popular loads over the past decade, and these bullets will help you with all your reloading needs. 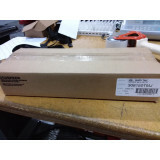 When you order this box, you’ll get 1,000 bullets of 50-grain ammunition. 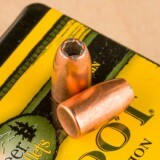 While the bullet is lighter than the more-common 55-grain projectile, this .223 bullet is still effective when it comes to both speed and accuracy. 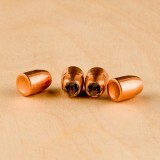 The hollow point ensures consistent expansion while the light design ensures excellent accuracy, even at a distance. 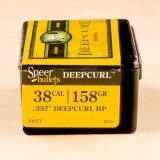 Speer is a well-known name in the ammo industry. 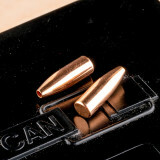 They have a wide selection of ammo and reloading choices ranging from .22 to .45-caliber cartridges. 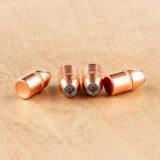 From handguns to rimfire rounds, Speer has the bullets you need for all of your shooting sports. Shot a .660 3 shot group at 320 yards this evening. 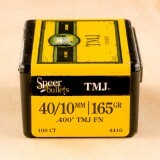 Have shot several sub .3" at 100. This is from a 1-12 ar-15. I only bought 1k when on sale because I didn't know how they would shoot. Now I know! Can't wait to take pdoggin! 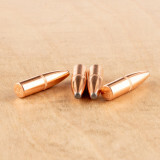 The .223 is the new standard in accuracy and performance. Used by gun owners all across the country, this fast cartridge can deliver the power that hunters need with the accuracy that all target shooters expect. Thanks to it’s outstanding versatility, it’s become one of the leading rounds in the country. 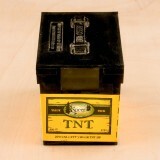 This box gives you 1,000 bullets of hollow point ammunition for your .223 cases. 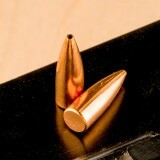 You’ll have the bullets you need for an afternoon of shooting, and you’ll have the accuracy that you expect from this caliber. 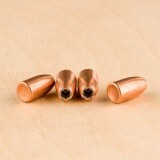 The 52-grain is slightly smaller than the average .223 bullet, but it still has plenty of power and performance for a wide range of uses. 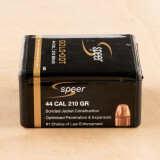 Speer makes ammunition for law enforcement, self defense, hunting, and training. 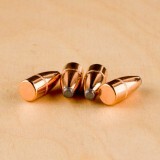 They have many different brands, including the Gold Dot and Lawman series. 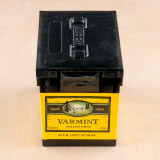 Their ammo is extremely reliable, making them one of the top duty ammunition lines as well as a favorite among reloaders. 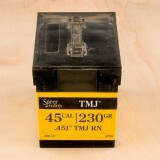 This is the "go to" bullet for both my 22-250s. A healthy dose of IMR-4895 gives half-MOA in both guns . 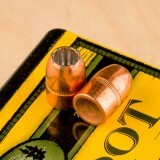 A varmint barrel 1/12 twist ; and a 1/14 twist sporter barrel. Very explosive bullets very accurate was capable of shooting three quarters of an inch at a hundred yards with my DSA AR-15 go figure. 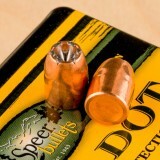 This is my go to bullet for coyote hunting and paper punching. 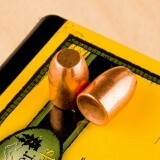 It has performed well in my 222 Rem, 22-204, 5.6x50R Mag and 22-250. 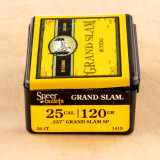 Great knockdown power and very little fur damage thought the whole range of cartridges. 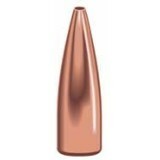 It is the most accurate bullet in my 222 Rem target gun with groups in the .3's and in my 22-250 hunting gun with groups in the .5's and .6's. I shot this bullet in the 22 PPC, custom 223, and factory 223 with amazing accuracy, easy to tune, just seat the bullet very near the lands. 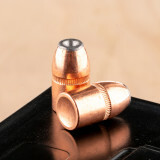 A quality bullet at a fair price. 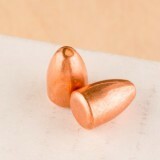 In my opinion, these are slightly more difficult to reload for a semiauto because the bullet does not have a cannelure, but I knew that before I ordered. I was going to order 5 more boxes, but the price has gone up. The best I could muster was 1.5" using 22G of IMR8208. I handloaded it with 25 grains surplus WCC844 and fired in a CZ-527 with 12X scope. At 100 yards I got 1.5" groups. I am happy with the performance. 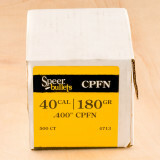 Speer Bullets are a great choice for affordable and consistent bench loads. 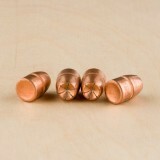 Each projectile in this box of 500 is a 180 grain Copper Plated Round Nose (CPRN) that measures .400" in diameter. 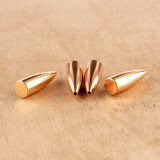 These bullets have a swaged lead core for improved consistency and accuracy. 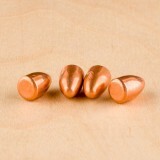 Each bullet is then copper plated and the re-sized to ensure every bullet is identical. 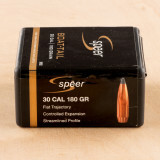 Pick up this 500 piece box of high quality, affordable projectiles and see why so many shooters choose Speer Bullets. 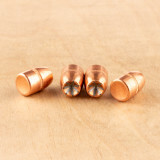 Don't forget to check out Widener's selection of 40 Caliber Brass, while you're here. 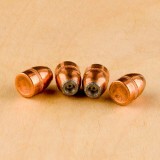 These bullets are not great but not a complete "wash-out". 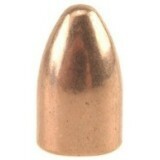 Some of these bullets measured at .3975. 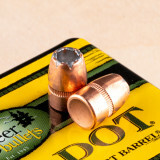 Top quality bullets are actually .400 in diameter. 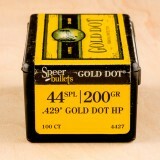 Of course this affects accuracy but I feel I got a great deal for plinking ammo! 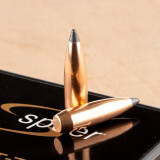 Speer Bullets have earned a reputation in the shooting industry for being high quality and affordable. 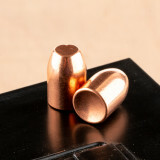 This 500 projectile box is filled with 230 grain Copper Plated Round Nose (CPRN) projectiles that measure .451" in diameter. 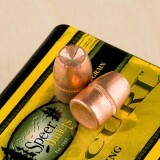 Speer manufacturers these projectiles with sawged lead cores to ensure consistency, then copper plates the entire projectile. 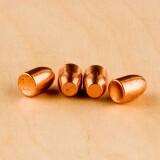 The bullets are then re-sized after copper plating. 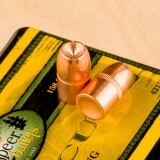 These projectiles are the perfect choice for anyone looking for a high volume bullet that is affordable and accurate. 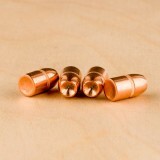 Don't forget to check out Widener's selection of 45 Caliber Brass, while you're here. Great value, will buy more. 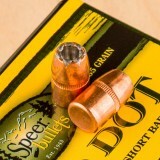 Shot these in a Savage/Shilen 6x45, (1 x 12 twist) that was an early Summer project. With a charge of AA2230, Fed small rifle primer, and FC 09 brass and this bullet, 7 shots that were covered with a nickel at 100 yards. No case prep. Some of the best shooting of the season. 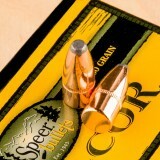 Speer makes a great product and these are a great value as compared to other higher priced bullets. Will purchase more for sure. 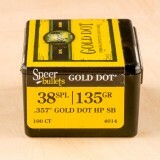 What can you say about GoldDots? 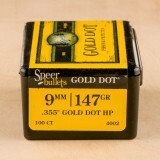 I've done a LOT of bullet testing over the years, Speer's GoldDots have always preformed as advertised. 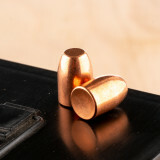 When you are looking for something to defend yourself with or need something reliable and accurate to take to the range, the 45 caliber is one of the best rounds to use due to its incredible stopping power, accuracy, and terminal performance. 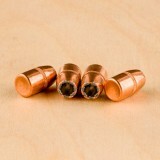 Used from the cowboy times until the present, the 45 caliber is just what you need. 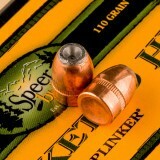 Speer has been around for some time and is one of the best ammunition manufacturers in America, not only proven by their phenomenal work, especially with Law Enforcement, but also by their partnership with such companies as Federal, Blazer, and CCI. 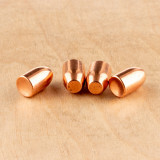 These special, total metal jacket, 230 grain bullets are the same bullets used in their famous law enforcement ammo, making them the perfect bullets for all your range training needs, whether you wish to shoot indoors or outdoors. 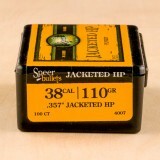 In this package, you’ll get 90-grain hollow point bullets by Speer - the lightest load available for the .270 Winchester. 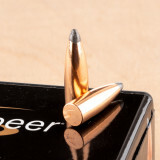 This means you’ll have outstanding accuracy and straight trajectories, while the hollow point design makes it perfect for varmint control and hunting. 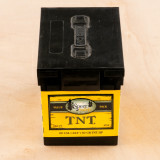 For outstanding performance from the rifle to the target, these TNT bullets are a smart choice. 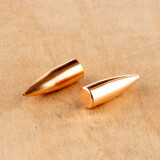 The .270 Winchester is a fast and effective rifle cartridge that has been used for many different purposes, including hunting, varmint control, and high-volume target shooting. 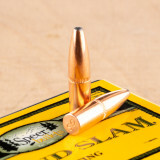 When loaded with a large enough projectile, the cartridge can even be used for larger game like elk and moose. 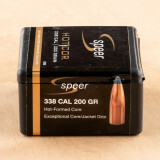 Many gun owners choose to reload their spent cases in order to save money, so if you go through lots of rounds, order this 650-bullet value pack from Speer. 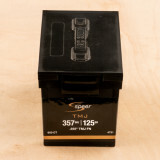 Speer is a leading ammunition manufacturer that makes a wide range of products for handguns and rifles. 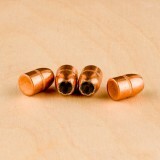 They have top-quality bullets that can be used in the field or the gun range, and they even have a large selection of reloading data. 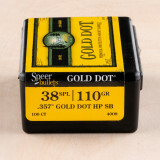 Roll your own defense loads with these proven Gold Dot projectiles from Speer. 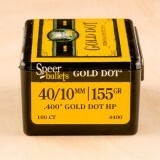 Speer Gold Dot bullets are bonded jacketed hollow-points (JHPs) which are well known for their performance in Speer's own loaded ammunition. 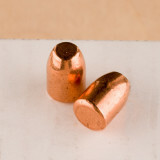 These projectiles have their jacket bonded to the lead core on a molecular level which prevents separation during entry or penetration through intermediate barriers. 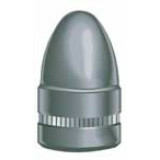 This ensures that the bullet delivers maximum terminal energy in a target without losing momentum while the hollow cavity allows for wide expansion in order to create a very large wound tract. 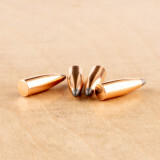 Each JHP bullet has a smooth finish around the edges of the cavity for reliability feeding. 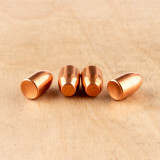 These .429 inch diameter projectiles weigh in at 200 grains which is great for loading for .44 Special but can also be used for light loads of .44 Magnum. 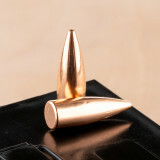 These bullets Speer Gold Dot bullets set the standard for many other defensive projectiles and continue to evolve in design as industry construction and production methods change over time. 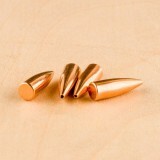 These are excellent bullets with an extremely large hollow point. 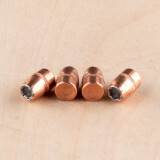 Keep in mind before ordering that these are intended for use in the .44 Special. 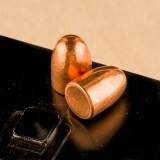 They still shoot fine in the .44 Magnum as long as you keep the velocity down. As a part of the esteemed Vista Outdoors group of companies, Speer has a fantastic reputation. 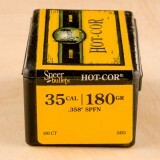 In fact, Speer is considered to make some of the best ammunition and bullets in the states. 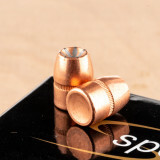 With Speer in your gun, you know that you are using only the highest quality components. 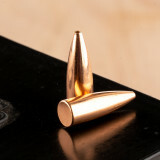 These high quality bullets are designed for hunting medium and large game. 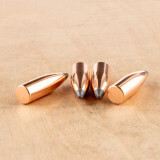 According to Speer's reloading manual, these bullets can be loaded for 35 Remington, 350 Rem Mag, 356 Winchester, and 358 Winchester. 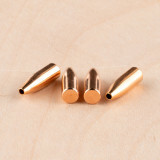 Depending on the powder type and charge size, these bullets can hit muzzle velocities above 2,000 feet per second in each of these loads. 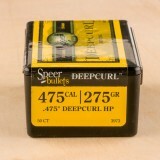 Speer bullet are an excellent option for reloading all of you pistol and rifle ammo, and 35 caliber is no exception. 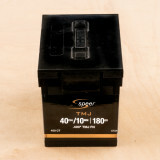 Be sure to follow a trusted reloading manual, like the one published be Speer, for all of your reloading recipes.